Apple's previous chip manufacturer Imagination Technologies has returned to profitability on paper, but has made no progress with Apple regarding its contention that the iPhone manufacturer won't be able to make its own GPU technology without infringement. 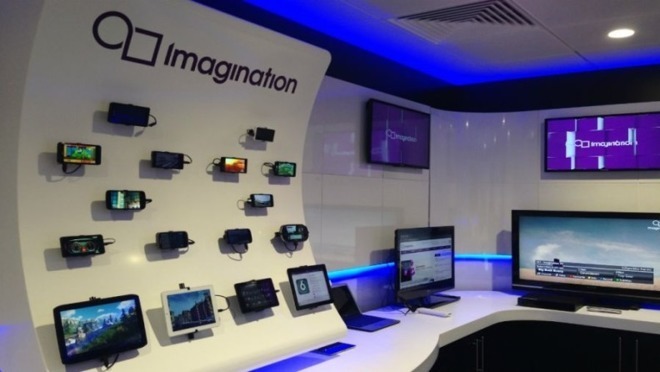 In Imagination's latest earnings report, CEO Andrew Heath referenced Apple's declaration that it would cease licensing, and paying for, his company's GPU technology multiple times. Imagination continues to refute claims that Apple will be able to develop its own technology without infringing on its intellectual property, and said that because of Apple's moves, it had to change course on a recovery plan. "Apple made an unsubstantiated claim, which obliged us to inform the markets, leading to a significant decrease in our share price. The claim has led us to invoke a contractual dispute resolution procedure and has created significant uncertainty with respect to our business, including our employees," said Heath. "We do not believe this to be acceptable business practice nor in line with Apple's own ethics statements regarding suppliers." Imagination is the creator of mobile graphics processing architectures, most notably the PowerVR architecture, which is used in a number of smartphones, tablets, and other compact devices. Apple uses the company's architecture in many of its products, including iPhones, iPads, the Apple TV, Apple Watch, and iPods. Apple announced in the beginning of April that it would stop using Imagination's technology within two years. The UK firm's shares plunged in value by more than 60 percent in the immediate wake of the announcement, and 70 percent to date. Apple was said to be in talks to acquire Imagination early last year, though ultimately no such deal was made. Apple has asserted that it has been "working on a separate, independent graphics design in order to control its products." As a result of Apple's withdrawal, Imagination offered up its MIPS and Ensigma businesses to concentrate on the imminent PowerVR Furian architecture. However, in the end of June, Imagination declared that it had received interest from a number of parties in the entire company. Apple's license fees and royalties represented revenue of $75.8 million for the 2015-2016 financial year, and rose to approximately $81 million for the fiscal year that ended on April 2017. While evidence supporting Apple's claim that it can produce its own GPU for mobile devices has been requested by Imagination, Apple has declined to provide any to the company. Imagination reiterated in its earnings that Apple also has not accepted overtures from Imagination for potential alternative commercial arrangements for continued licensing. Imagination may have returned to profitability based on continuing operations, but is still taking a hit from discontinued operations —but less than that of a year ago. The impact of the discontinued operations will diminish as the fiscal year continues.